Hi, Did you get an email from Federated Media or are you looking for Federated Media Review to find out whether is it worth to join federatedmedia.net as a publisher. Yes I was in the same boat 2 months before. Accidently I have received an email from the so called Federated Media and was looking for what is it. I had a look around and I could not find much about federated media. Only the post I was able to see from a blog called laughmom, where she posted a post titled why-im-meh-about-federated-medias-dailybuzz-moms and in that she says she got a unexpected email from federated media, (as it is my case). More over she is having a close look at the terms and conditions of sovrn.com. I did not read full of her research, however if you are interested to know the tricks and tips of their terms it is better to visit her post. On my publishing life I have tested lot of advertising agencies including commission junction, adbrite, something called traffic marketing place and lot. Some people simply won’t record any clicks or they put all the money in their pocket. I had tried kontera also I was getting around 2cents/13 clicks, and they claim that they pay 70% to publishers. Well I never came up to an agency who will give you 13 visits for 3 cents. (2+1 for kontera 30%). 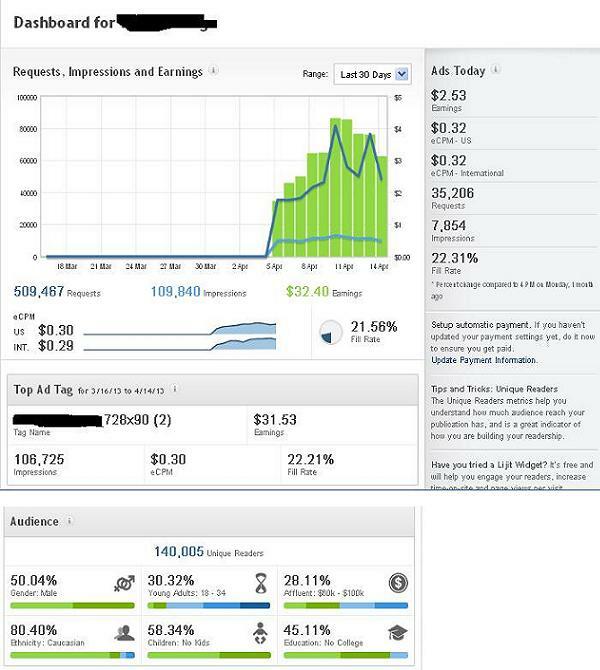 These bad experience made me to stick with adsense which is really transparent. Recently I have started using infolinks as another source or supplementary income. Due to all these now before signing up with any advertiser I use to browse internet to make sure they are good paymasters for their publishers and not the paymasters for himself. To my surprise the earning was not nil or little. From just one banner at bottom it was earning $3 to $4 usd/day. It is really good if we take the following factors. There is very little paying alternative is there against adsense. All those people keep lot of extra conditions on for accepting you into their network. They all think that potential customers will visit only popular websites. 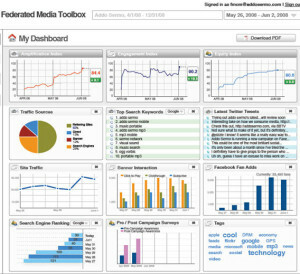 Imagine that you are thinking that a one internet browser visits a webpage by looking at their websites pageviews/month. I still can not understand from where people get these type of myth. Other advertisement agencies are simply cheaters or they are not big enough to get good money for clicks from advertisers. Not only that lot of publishers just show adsense advertisements from google through network publisher contracts. That means google take 33% and your publisher takes another 30%. The place is extra or non important. SO the income we can consider as supplementary. One of the problem I have found with them is fill rate. I have only 25% fill rate as of now. And I think they do not have any mechanism to show our default or alternate advertisements on unfilled requests. If I can get 100% fill rate then I think It will be a good income. I hope as the network grow their fill rate also will increase. My current ratio of $1.6 to 1000 pages. Thanks for registering so quickly! I’ll go ahead and make you some ad tags. It would be helpful to know what your ad chain currently looks like. What CPMs are you earning in each zone? This will help me target specific CPMs for you. I’d prefer to start in your lowest performing ad unit and move up from there. Your 728×90 is above the fold so it’s probably the most successful along with your 300×250. What are you earning in your 160×600 ad zone?